This 2017 Grand Caravan has 80212 kms. It is finished in beautiful Black Crystal Pearl and is completely accident free based on the CARFAX Report. It has an automatic transmission and is powered by a 3.6L V6 24V MPFI DOHC Flexible Fuel engine. It has remaining factory warranty for added peace of mind. 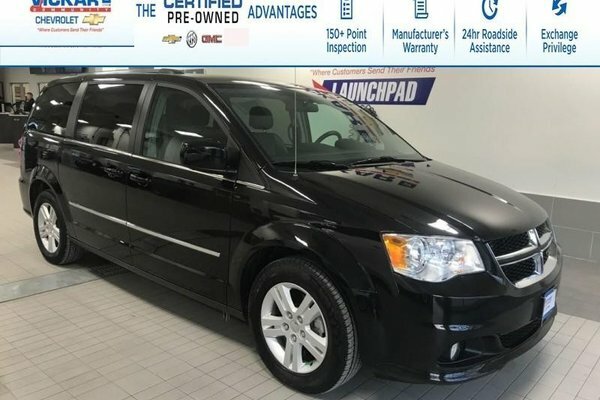 The Grand Caravan's trim level is Crew and also comes with tri-zone automatic climate control, an electronic vehicle information center, Stow 'n Go fold-flat second and third-row seats, Stow 'n Place roof rack system, Leather Heated Seats and Leather -wrapped steering wheel. Now the best for last Dual Power Sliding Doors along with a Power Liftgate. with audio and cruise control, power windows, power locks, aluminum wheels, fog lamps, and more. To view the original window sticker for this vehicle view this http://www.chrysler.com/hostd/windowsticker/getWindowStickerPdf.do?vin=2C4RDGDG0HR792874. 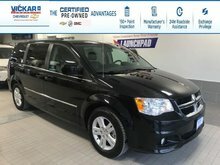 Want to try the 2017 Dodge Grand Caravan Crew - LEATHER HEATED SEATS ?